Bakeapple, the Cloudberry or the Chicouté is a delightful wild berry that grows on the marshes of the Great Northern Peninsula, Labrador and other parts of Northerly climates. Late July-early August is a great time to head to the barrens with your jugs and buckets to get some for yourself. The other option may be to purchase them at roadside. – Preheat oven to 350°F. Grease 9-inch spring-form pan. – Melt butter, add crumbs and sugar; mix until mixture is moist and crumbly. Press against bottom and sides of greased springform pan. Bake 10-12 minutes at 350°F. Cool. Reduce oven temperature to 325°F. Beat cream cheese well. Beat in egg yolks, then add l/2 cup sugar, flour and salt. Beat well. Add cream, vanilla, lemon rind and juice; beat mixture until free from lumps. In a clean bowl, beat egg whites until they reach the soft-peak stage. Beat in 1/4 cup sugar and continue beating until whites are stiff but not dry. Fold egg whites into cream cheese mixture. Pour cream cheese mixture into baked crumb crust and bake at 325°F for 40-60 minutes or until it sets. The mixture will be a bit quivery when removed from the oven, but will set as it cools. Cool cheesecake to room temperature, apply bakeapple sauce over the top, then refrigerate until serving (preferably 3-4 hours). Simmer bakeapples in a little water until tender, about 10 minutes. Add sugar and simmer another 5 minutes. Mix cornstarch with enough water to form a paste. Stir into bakeapples and continue stirring until thickened and smooth. Please visit http://newfoundland.ws for more superb recipes of Newfoundland & Labrador cuisine. A visit to a restaurant in Newfoundland & Labrador, especially during summer will likely have this berry in a dessert, alcoholic beverage or as a garnish to a main course. Embrace the bakeapple along with so many residents of the Great Northern Peninsula – it truly is a treat that will tantalize the taste buds. 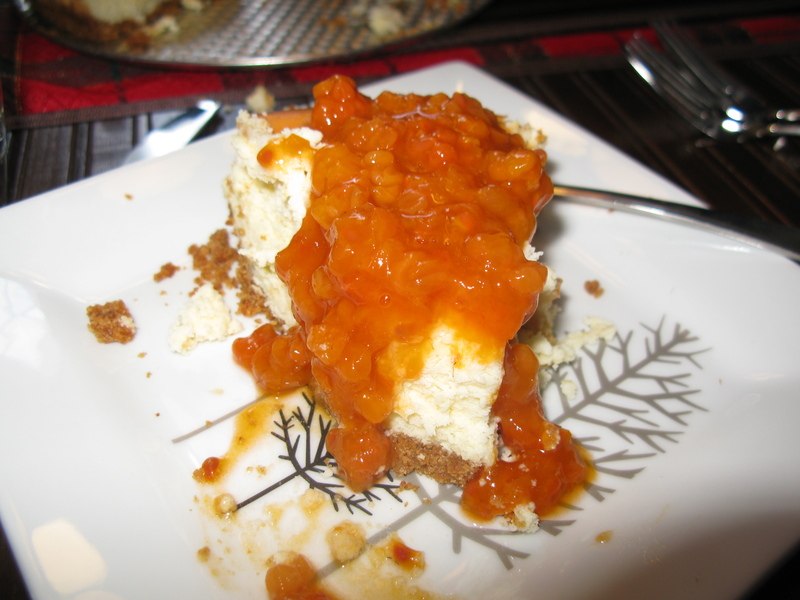 Posted on January 22, 2012, in Newfoundland Recipes and tagged Bakeapple, Cheesecake, cloudberry, Cream cheese, Great Northern Peninsula, Labrador, Newfoundland, Newfoundland & Labrador, Springform pan, Sugar. Bookmark the permalink. 1 Comment. Are the bake apples ready for picking by this weekend?